Stretching, joint rotation, and other flexibility exercises promote a supple body like that of the dragon - flexible, yet strong. Flexibility extends your range, keeps your movement smooth and fluid, prevents injury, and promotes quick recovery. Well into his 80's, Hatsumi Sensei maintains a level of flexibility that puts most of his students to shame - and he's been known to say that not only did his flexibility contribute to his own teacher being able teach him more, but also that this is one of the factors in who he chooses to demonstrate techniques on is the person's flexibility. The more flexible you are, the farther you can go, safely, and the more the instructor will be able to share with you advanced techniques that challenge verbal explanation. Rolling and breakfall techniques are closely connected to flexibility because they promote overall dynamic flexibility. 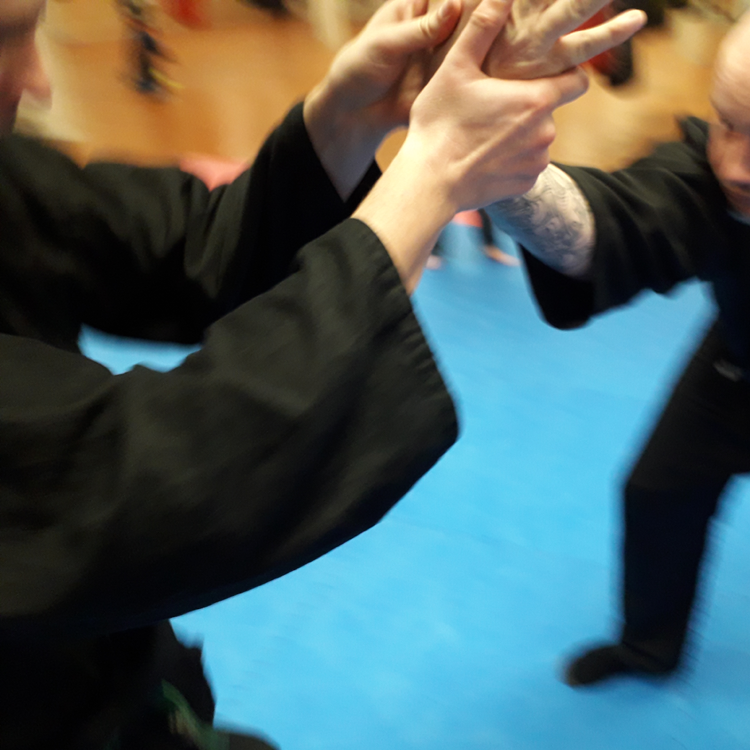 Falling, or being thrown, to the mats can be a scary experience at first, and Ukemi drills are a must when it comes to learning how to do this safely and smoothly. Like flexibility, the better your Ukemi, the more the teacher can share with you directly. The characters in Ukemi, 受身, mean 'receiving body'. An obvious example of this is when a technique is being applied: the person first receives the technique - and often the floor shortly afterward. Learning how to receive techniques well is just as important as learning how to deliver them well. But Ukemi doesn't stop there - the principle applies to receiving anything: a compliment, a criticism, a challenge, a promotion. 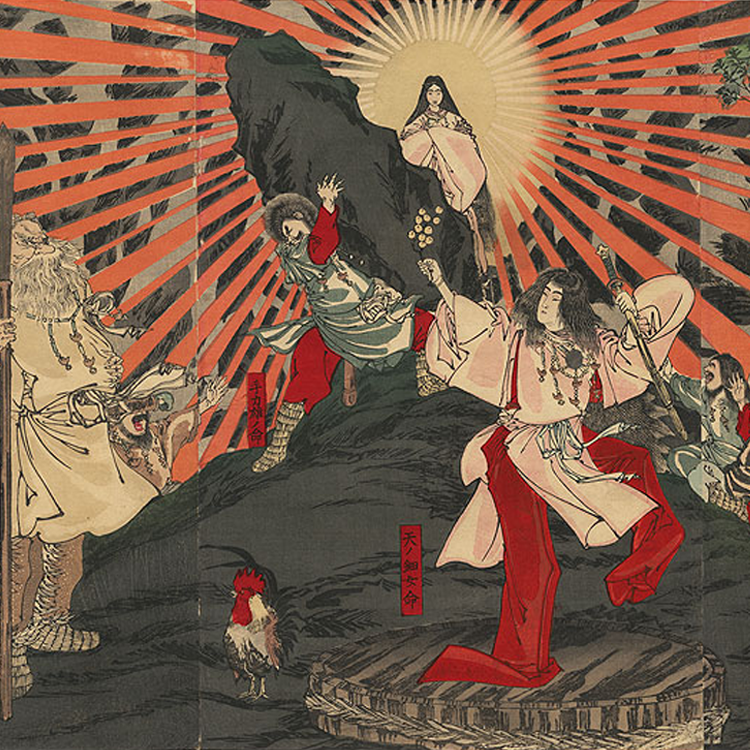 One's skill at receiving goes a long way both inside and outside the Dōjō walls. While flexibility and form may seem at odds, they go together like a tent whose material is supported by a structure. Our bodies, too, would be shapeless blobs, incapable of movement, without a skeletal structure. 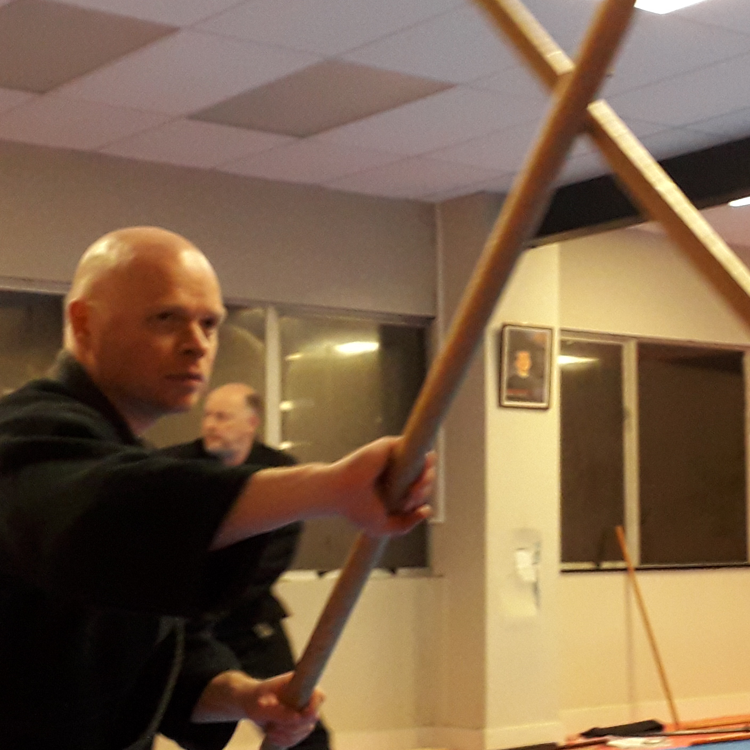 So it is with Bujinkan martial arts: one learns, and constantly practises, the fundamentals upon which the rest of one's training are built. While the true fundamentals - things like distance, timing, angles, balance, and pressure - can be found in any technique, there are two primary sets of basic techniques in Bujinkan Budō, known as Gogyō No Kata (five techniques that deal with lines of attack and different strikes) and Kihon Happō (eight techniques that use fundamental postures to defend against basic punches and grabs). 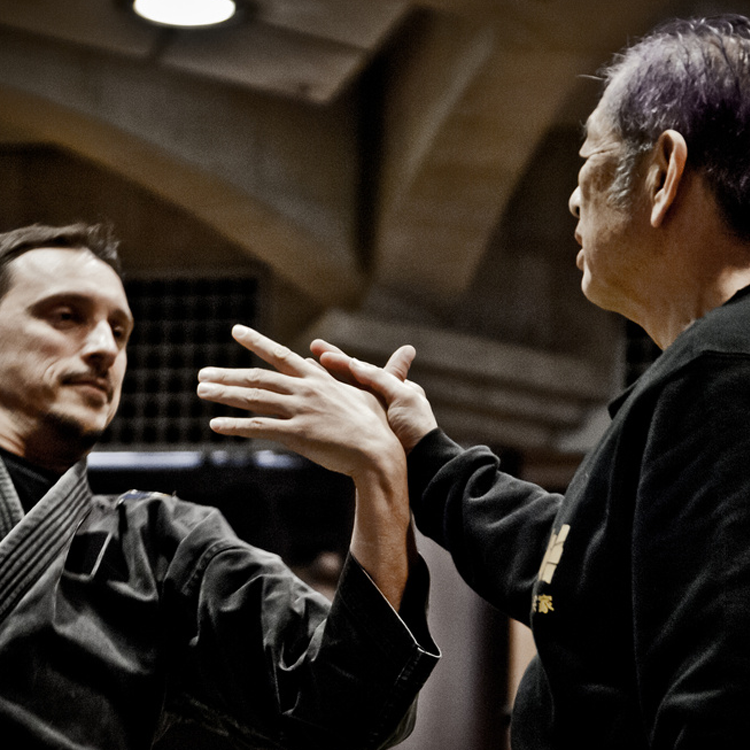 Additionally, the Tenchijin Ryaku No Maki comprises a "best of Bujinkan basics" text containing other fundamental techniques derived from the 9 Bujinkan Ryū-ha. The above fundamentals are but small sub-sets of the teachings contained in the 9 Bujinkan Ryū-ha. Each of the 9 has a wide range of techniques, armed and unarmed, with it's own specialities in strategy, target points, movement style, and weaponry. Exploring these in context allows us to step into a space where we can learn the lessons that these specialities have to teach. Generally speaking, these techniques include a wide variety of punches, grabs, kicks, strikes, joint locks, chokes, holds, and throws, in addition to armed techniques incorporating swords, knives, sticks, spears, halberds, ropes, and chains, often in combination. Learning to manipulate tools while moving, defending oneself, taking balance, and applying techniques is a challenge that builds coordination, dexterity, creativity, and patience. When one is to some extent comfortable with fundamental forms, more advanced training can begin. This training takes the form of more free, creative, and responsive adaptation, and includes things like Henka (adaptations of fundamental techniques) and Kaeshi-waza (counters and reversals), in addition to defenses against attacks from behind, multiple attacker scenarios, etc. Through much training, one becomes able to instantly address an unknown and unplanned attack with an instinctive, creative, and efficient response. One first learns the forms, then breaks the forms, then transcends the forms to attain mastery. (This concept is known as Shu-Ha-Ri in Japanese.) Like so many other arts, one first learns the fundamentals, putting in countless hours of effort, and eventually discovers their innate ability to think and act freely. With great power comes great responsibility, and a strong person without conscience is a danger to themselves and those around them. It's important that those who would acquire the skill that comes with martial arts training also possess a true heart (Magokoro, 真心）that guides their decisions and actions, and to this end our Dōjō members are required to have read and agree with the Guidelines for Participation in Bujinkan Training issued by Hatsumi Sōke. Spiritual refinement requires awareness, and awareness begins with the fundamental concept of being aware of our own motives and thoughts, and of how our actions will affect others.